Think vinyl windows and shutters have to look like modern additions to an old house? Think again. Vinyl windows can impart a classic appeal to any home, no matter the age. But why stop with the windows themselves? Shutters made of vinyl can add the perfect touch to the beauty of your home. You can choose shutters that are fixed, and serve only for decorative purposes, or you can opt for working shutters the close with hinges and small locks. Working vinyl shutters are perfect for blocking out the light, protecting your vinyl windows from the prying eyes of others, and especially for extra safety when stormy weather rolls in. What's more, vinyl windows with shutters of contrasting colors can add the final touch of pizzazz your home needs to stand out among the neighborhood. 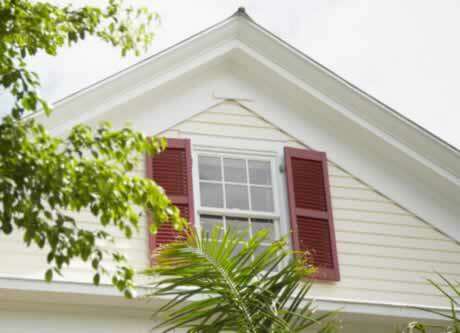 When you choose vinyl windows, ask about vinyl shutters that can be the finishing touch to your gorgeous house plans.